If someone were to make a list of the greatest racecars of all time, the Porsche 917 would almost certainly be on it. The car gave Porsche its first overall wins at the 24 hours of Le Mans, and became revered for its high power output with speeds in excess of 220mph. So iconic was it, that the car played a leading role in Steve McQueen’s 1971 film, ‘Le Mans’. 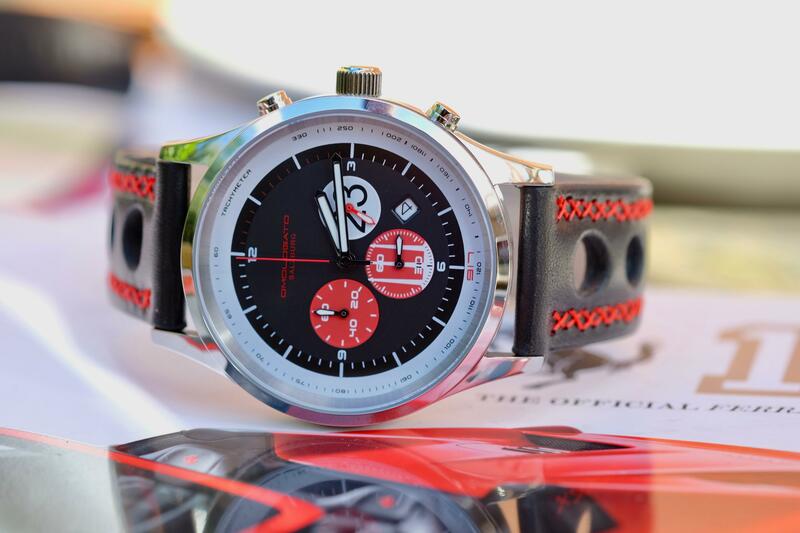 But it was in the previous year – 1970 – that the Porsche Salzburg 917 won the famous endurance race for the first time, driven by Hans Herrmann and Richard Attwood. With the 917, Porsche for the first time entered the league of immensely powerful, large-capacity racing cars. The 580 hp from the twelve-cylinder 4.5-litre engine of the 917 set new standards, to the extent that even decades later, independent experts rate this Porsche as one of the most impressive sports cars of the century. At that time, the factory did not enter the cars directly, but via its close partners, John Wyer Automotive and Porsche Salzburg; nevertheless, the World Championship for long distance sports car racing proved to be a triumph for Porsche. 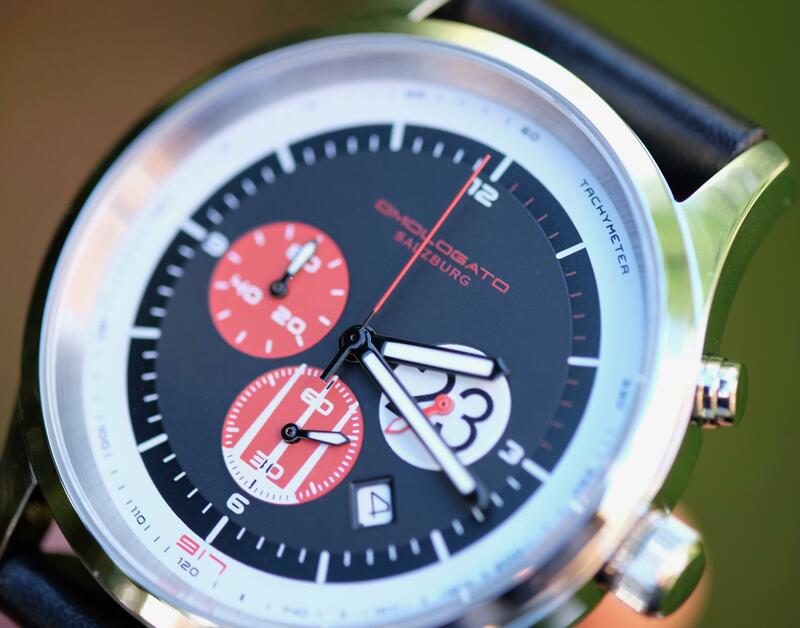 Despite fierce competition from Ferrari, the blue and orange, and red and white 917s won almost every race. The Le Mans 24 Hours race was particularly important, as Porsche had not been able to score an overall victory so far. In 1970, seventeen 917s participated and, after 24 hours of racing in rain and fog, two completed the race – in first and second places. Hans Herrmann and Richard Attwood were behind the wheel of the winning number 23 distinctive red and white liveried car entered by Porsche Salzburg. Since Porsche secured its first victory in the French endurance event, the German manufacturer has achieved a record total of 16 overall Le Mans victories to date. 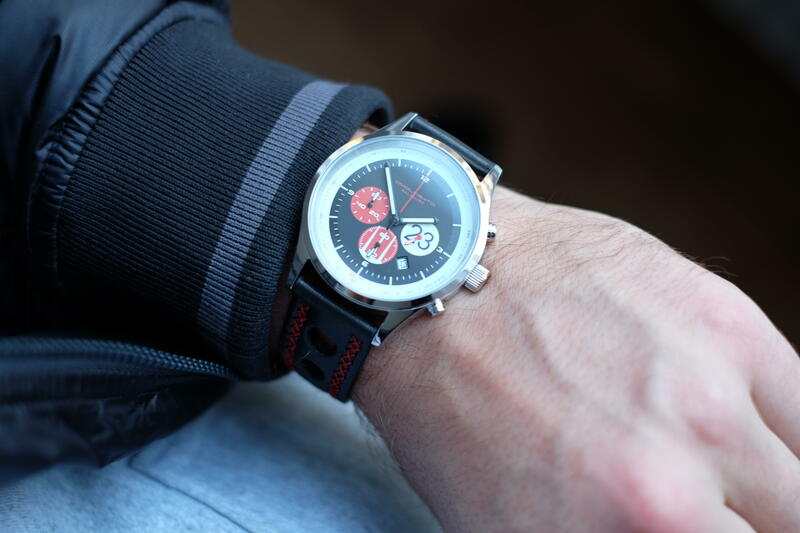 Immortalized by Steve McQueen in the movie classic, Le Mans, the speed and success of the 917 resulted in it becoming a popular choice for private entrants racing in the sports car World Championship. A total of 59 examples of the 917 were built, 41 as short or long-tail coupes, and 18 as Can-Am or Interseries Spyder versions with 1,400 hp turbocharged engines. 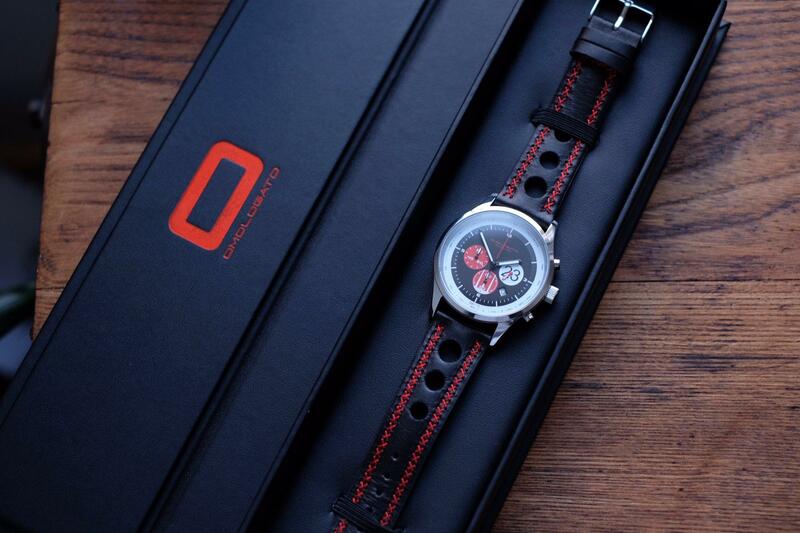 Omologato® now bring you the chance to own a part of this history. 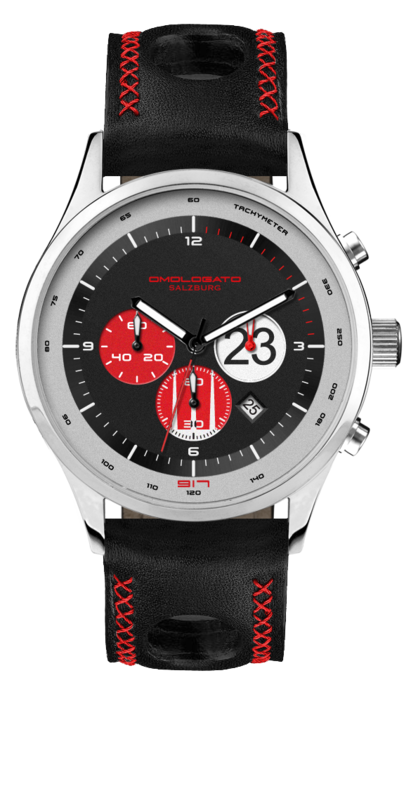 We have made just 200 of The 917® based on design features of the iconic number 23 Salzburg 917. 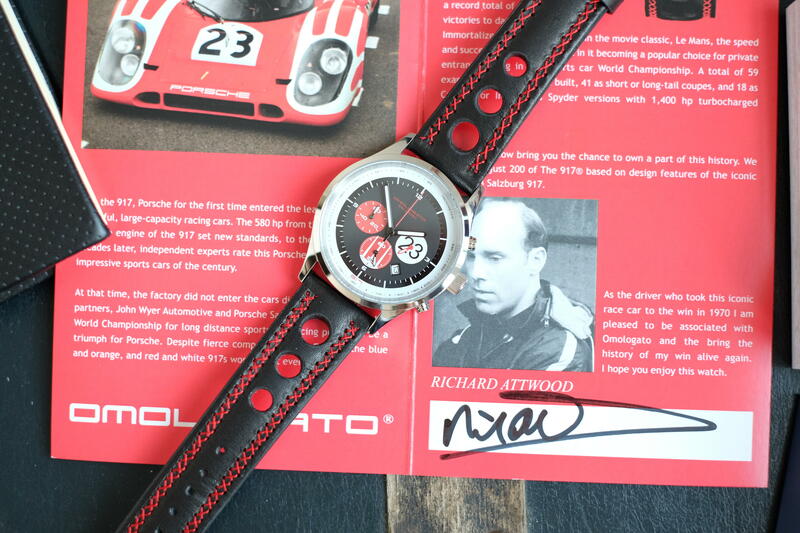 We're also delighted to announce that Le Mans winning legend Richard Attwood who drove the Porsche Salzburg 917, has been appointed a brand ambassador for Omologato. 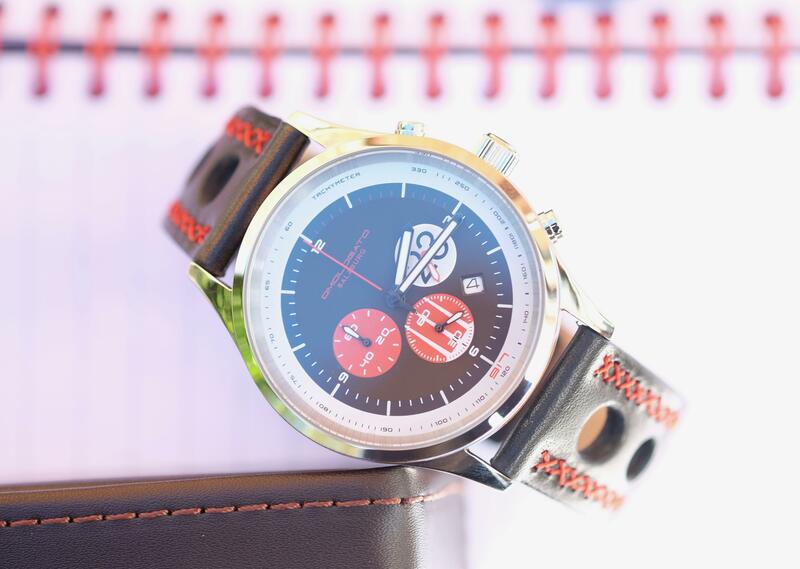 Customers who pre-order The Salzburg will receive a hand autographed booklet with their unique watch number written by Richard himself.